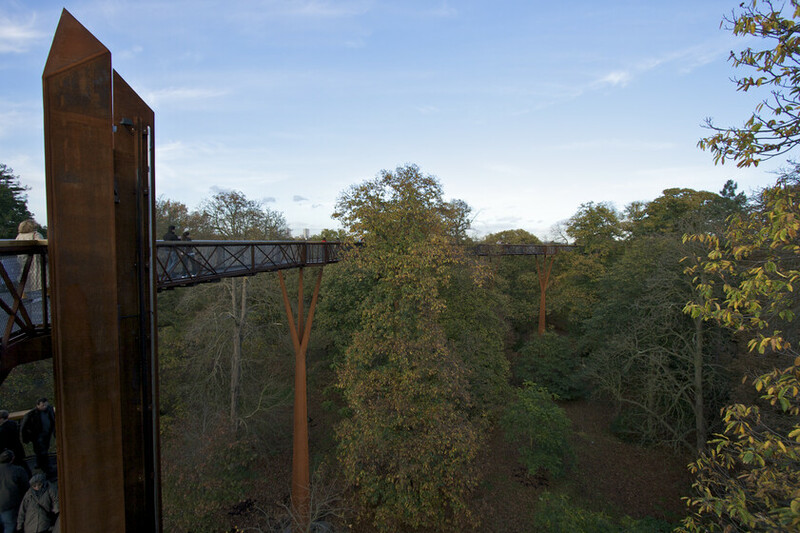 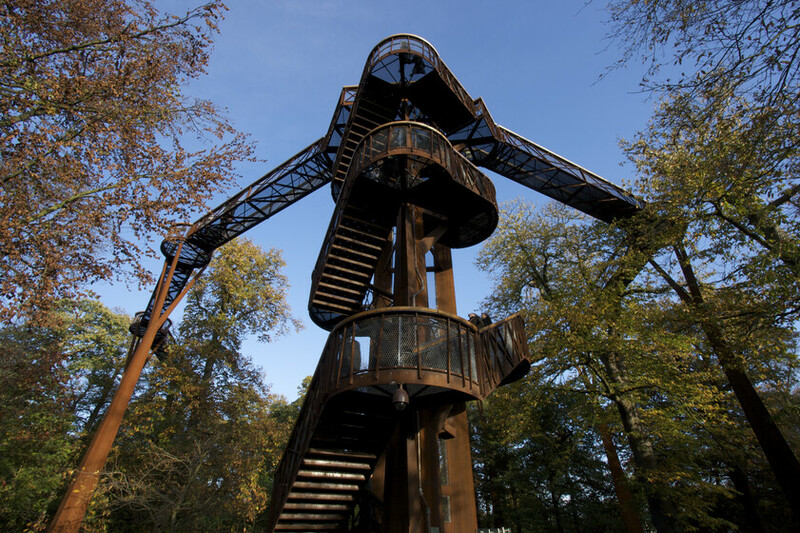 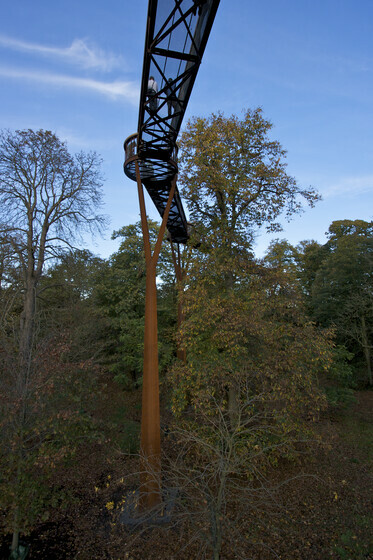 The aerial walkway was design to educate and inspire, giving the public the opportunity to experience at close hand the tree canopies as the corten steel walkway snakes between the tree tops. 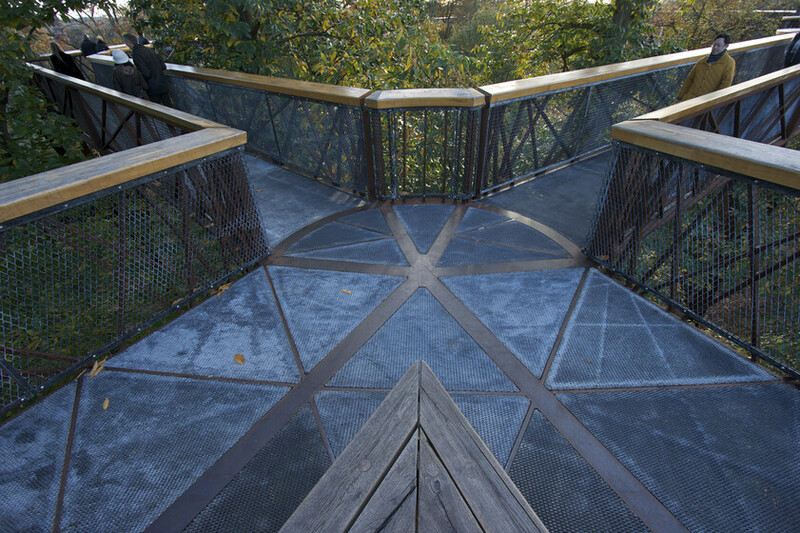 The Rhrizotron acting like a crack in the earth, was conceived to allow the public to experience, through sculpture, the root and insect world below. 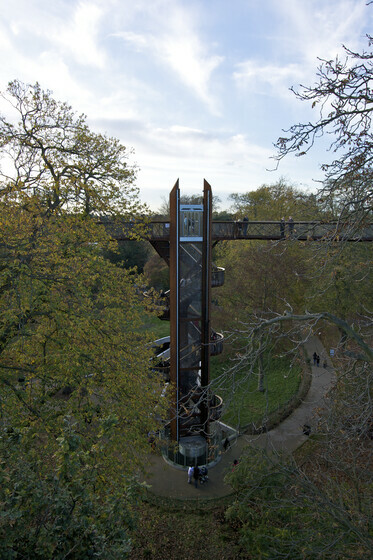 As such, it was important to minimise the impact of the servicing on the structure. 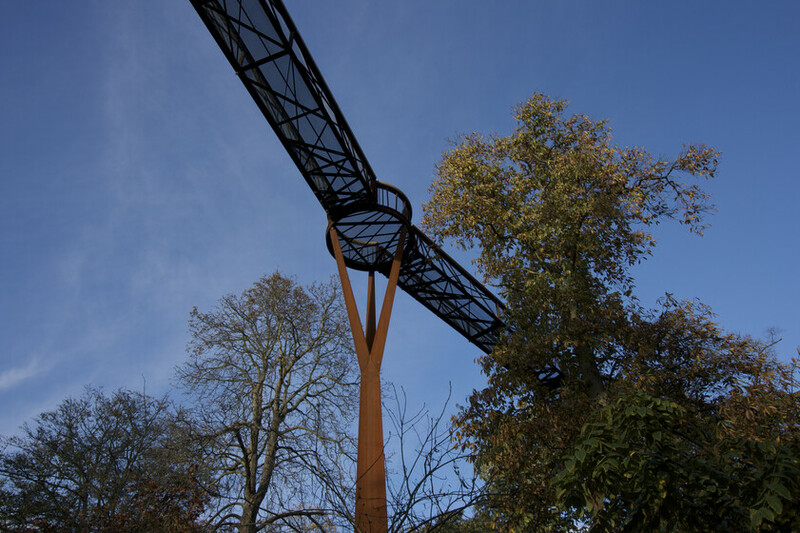 We designed a basement plant room buried into the landscape with distribution via an underground ducted infrastructure feeding into the structure for lighting and power, with the basement plant area allowing for the lift equipment.